Have you ever played that bridal shower game where the person with the most unusual items in their purse wins? Well can you believe I won a few years ago becuase of the pack of trail mix I was toting. Doesn’t everyone carry a healthy snack with them? Trial mix packed with nuts and favorite dried fruits is one of the best ways to keep your energy up and help you stay energized before the next meal. 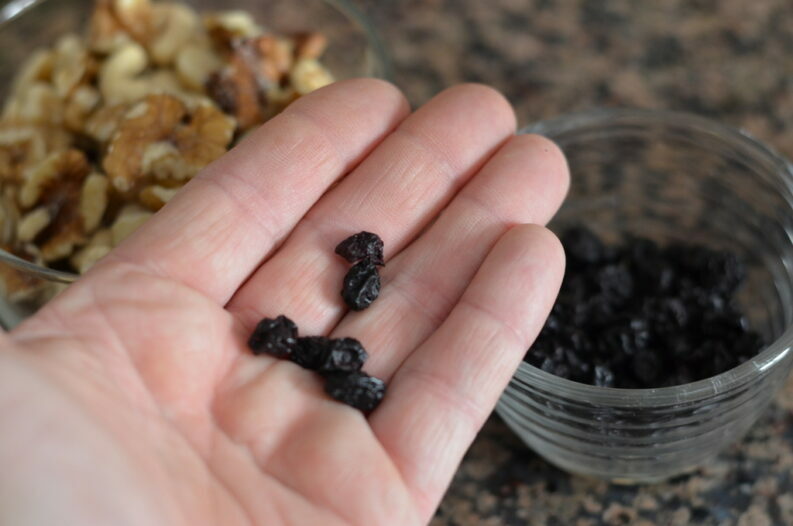 In today’s post I’m sharing one of my favorite trail mix recipes that I just whipped up to take with me tomorrow as I head out west for a 90th Birthday Party for Monrovia. 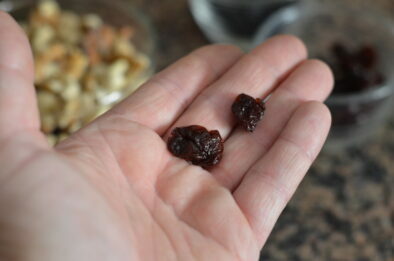 Dried cherries for the trail mix recipe. I not only have a trail mix packed in my purse when I’m running errands in town I always pack a special mix when on travel. Nothing is worse than getting back to your hotel room late after a long day connecting with awesome folks at a travel event and your tummy is growling because you were too busy chatting and missed dinner. Today I want to share a mix I’m taking with me on my trip out west tomorrow. A really unique spin to this mix is adding dried Goji berries like the ones I grew on my patio. I hope you take advantage of the print option and add this mix to your next travel adventure to keep you energized. Mix all the ingredients and store in an air tight container for up to 2 weeks. Mix it up and let your family go nuts! I hope you will add #NationalTrailMixDay to your Calendar on August 31, 2016 and celebrate by making up your own favorite mix. Need some inspiration? 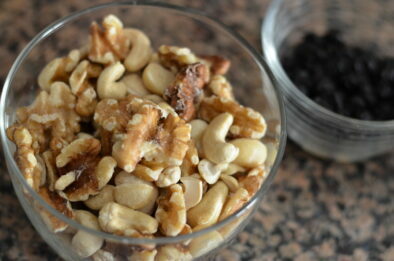 Be sure to follow @Nuts on Twitter for healthy recipes and more. [alert-announce]What do you mix up in your trail mix? Is there something unique that would win a contest? I’d love to connect with you so please share with me in the space below so we can connect.